Alyce O. Olsen, age 90 of Lake Geneva, WI passed away to eternal life at her residence in Lake Geneva on Saturday, November 10, 2018. She was born October 22, 1928 in Chicago, IL the daughter of Walter Jr. and Della (Anderson) Ohlson. She married Charles J. Olsen on April 3, 1948 in Chicago, he preceded her in death on November 15, 1995. She has been a resident of Lake Geneva Area since 1967 coming from Park Ridge, IL. 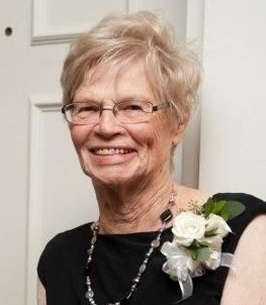 Alyce was the loving mother of Richard Olsen of Lake Geneva, Susan (Gregory) Keller of Fort Mill, SC, and Elizabeth (Michael) Stretti of Grayslake, IL. Loving grandmother to Courtney (Timothy) Slavin, Matthew (Erin) Keller, Rhett (Nicole) Keller, Erika (Rob) Palka, Charles (Katie) Olsen, Rachell Olsen, Kiersten Olsen, Haley Olsen, Alyssa Olsen, Kristoffer Olsen, Madison Olsen, Caroline Stretti; and 8 great-grandchildren. She is also survived by brother Joseph (the late Kay) Ohlson of Pell Lake, sister Delores “Honey” Barry of Wheatfield IN, former daughters-in-law Pat Ezell and Christine Olsen, nieces, nephews, other relatives and many friends. She is preceded in death by her parents, husband Charles, sons James and David Olsen, and 7 siblings. A visitation will be held from 10 to 11 a.m. on Saturday, November 17, 2018 at the Immanuel Evangelical Lutheran Church (700 N Bloomfield Rd, Lake Geneva) with a service at 11 a.m., Pastor Carl Johnson will be officiating. Burial to follow at the Oak Hill Cemetery in Lake Geneva. Steinke-Lazarczyk Funeral Home and Cremation Services of Lake Geneva, WI is proudly serving the Olsen family. 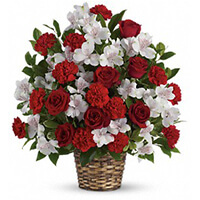 To send flowers to the family of Alyce O. Olsen (Ohlson), please visit our Heartfelt Sympathies Store.